Fans of TNT's alien-invasion hit Falling Skies are growing impatient. We learned in July that the series was renewed for a total of 10 episodes and will return in the summer of 2013 - but no official date has been released yet. Still, that doesn't mean that the 2nd Mass isn't gearing up for the new season. In fact, there are bits of info here and there that give us clues about the ongoing war with the Skitters and their overlords. We know production began Aug. 22 and it looks like the first episode is titled "On Thin Ice." Also, Sarah Carter, who plays Maggie, tweeted on Dec. 6, "I hate endings, but this finale feels more like a whole new beginning"
As for casting, 7th Heaven's Stephen Collins has been cast as the (former?) president, and will - according to TV Guide - portray the prez as a "confident man exuding charisma who has been forced into combat against the aliens." We also learn that Collins has been stationed in Colorado (at an underground government installation at the Cheyenne Mountain nuclear facility? 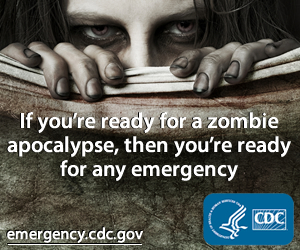 ), and "has been sending out sniper teams all over the nation to locate survivors." Apparently he wants to confab with Noah Wyle's Tom Mason to see how his crew has been beating the E.T.s. Over at EW.com Doug Jones (Hellboy, Pan's Labyrinth) revealed he'd been cast as the new alien introduced at the end of the Season 2 finale. Meanwhile Deadline.com reported that Robert Sean Leonard, in his first post-House gig, has signed on for a five-episode arc on the show as a PhD scientist "who runs Charleston’s power grid and lives underground with his pet rats ... the children of New Charleston, intrigued by his cool science toys and unusual pets, eventually dub him 'The Rat King'." (Presumably not to be confused by the Mouse King in The Nutcracker or the Rat King from Teenage Mutant Ninja Turtles). Also set for a five-episode arc is ER alumna Gloria Reuben, reuniting with her ER co-star Noah Wyle. Reuben will play an an aide to Tom Mason who is "extremely intelligent and her political knowledge and experience could prove extremely helpful to Tom." Adding to the roster is the rumor that popped up in mid-November that Star Trek's Jonathan Frakes would be either directing or appearing in an episode. 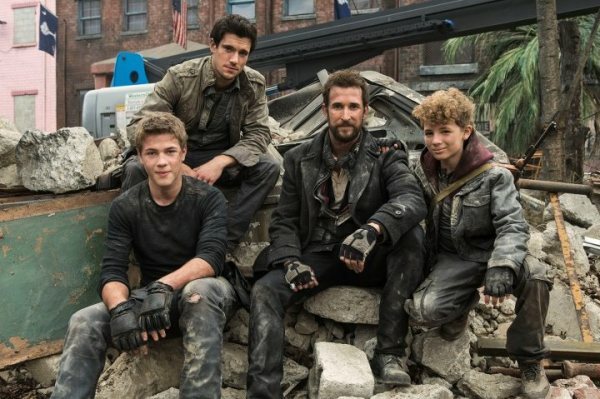 Frakes, who has an impressive directing resume, tweeted he was "Flying into #FallingSkies w the amazing #noah wyle." As our friends over at Three If By Space point out, this is a natural relationship for the former Will Riker to work with the show, since he has previously directed Wyle on two of TNT's Librarian TV movies (and directed a dozen episodes of TNT's Leverage. As for cast exits, it would make sense that Terry O'Quinn won't stick around long as Arthur Manchester since the actor was working on 666 Park Avenue, which was recently canceled. 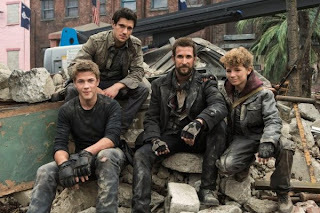 Anyhow, we'll keep on the look out for more Falling Skies news, but hopefully this is enough to keep you harnessed to the show for the moment.